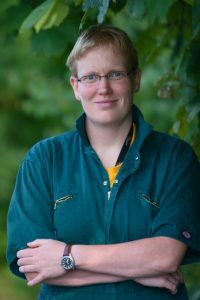 My name is Dr. Marijke Beltman and I am a lecturer in veterinary clinical reproduction at the UCD School of Veterinary Medicine. I teach reproduction of all animals both in a classroom environment as well as in the clinic and on a farm. I use WebPA for students to peer and self-assess when they complete a group project; typically group work is part of the self-directed learning component of my modules. I also use the free online tool Participoll that allows me to develop mini quizzes in class. Once the quiz has been set up I share a link to all students in my class, which they can respond to with their own electronic device that is connected to the Wifi. This allows me to not only to assess students knowledge but also encourages students to actively engage with the content of my lecture. WebPA allows students to evaluate how their fellow group members as well as themselves have contributed to their group project. This activity gives students insight not only to the end product of the project but also into the process of group work. WebPA allows for individual student marks to be generated for their group project as opposed to one general mark. Participoll increases student engagement in my lectures and from a cognitive perspective, learning is reinforced as students must retrieve information from their short and long-term memory. The WebPA peer and self-assessment forms developed for the group project are deployed to all group members once they have electronically submitted their group project. Students are asked to evaluate each group member by assigning a mark on a likert scale for cooperation, communication, enthusiasm, organisaiton and contribution. Participoll quizzes are presented via my lecture slides. Students are prompted to go to my personal Participoll page via their own electronic device where they choose one answer to the question presented. Student input is communicated live back to my lecture slides, this allows me to provide immediate feedback and tailor the rest of my lecture according to students’ knowledge and beliefs. The main benefit of WebPA is that it allows me to get insight into both the process and the end product of the students’ group project. It allows me to award individual marks to each student in a group. The students like it as they feel they have some form of responsibility for the marking process. The key drawback is that your institution needs to have a subscription to WebPA so you will need to work with your IT Services to get set up initially. The system itself is clunky from an user perspective which means you have to allow time to get used to working it. Once its up and running however, it’s just a matter of activating it on time. The benefits of using Participoll are that it fosters higher levels of student engagement in my lectures and encourages (hopefully) deeper learning. Unlike alternative polling systems it does not require me to have any additional external devices, which makes it’s easier to deploy. The drawback is that you must rely on the students to have a device that can be connected to Wifi in order to respond. The lecturer also must set up an account, which takes a bit of time, however this is free. WebPa is a very nice tool for peer and self-assessment and has definitely improved the way I mark group projects so I would recommend anyone who works with groups and group projects to consider it. Participoll is simple to use and has improved the way I teach so I would also recommend this!